St Martin is nestled in the heart of the charming Caribbean and is a beautiful island to explore whether you are travelling with family, with friends or as a couple. The stunning island is 37 square miles and is the smallest island in the world governed by two countries, the French and the Dutch. The French own approximately two-thirds of the islands map, and there is no real border, just beautiful monuments and signs, so you know your location between the two. St Martin is a unique island and home to 36 gorgeous pristine white sandy beaches along the coast as well as the largest lagoon in the Caribbean. 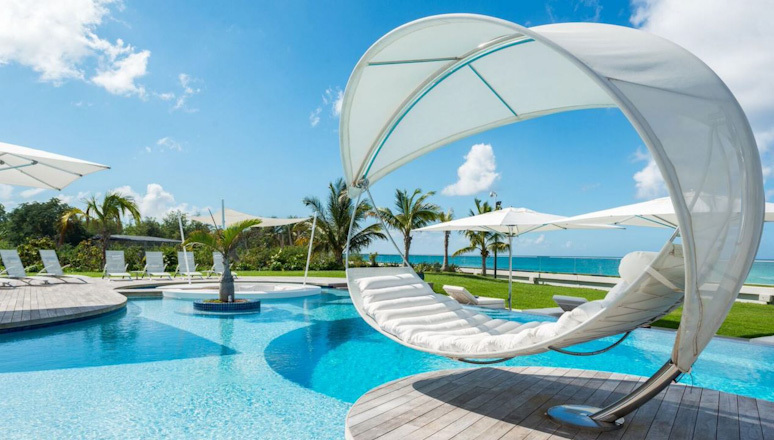 The island boasts some of the best beachfront holiday villas in the Caribbean and the most exclusive ocean-front rental homes imaginable, with private pools. The island is perfect for a family vacation, as there is an array of activities and luxurious amenities to please and suit the whole family. The island is also extremely popular for honeymooners offering some of the best accommodation and luxury properties in the world. From helicopter rides with captivating views and jet skiing on the crystallized waters to a leisurely game of golf and duty-free shopping, Saint Martin has it all. The island has over 300 restaurants for you to choose from as well as a stunning harbour area with a fleet of large mega yachts. Grand Case is one of the most popular areas for dining out in St Martin, it has a strip of restaurants offering both a casual and gourmet dining experience, right on the water’s edge, with a wonderful view. Grand Case is a majestic place, always worth one or two visits during your tropical getaway regardless of where you are staying on the island. The Island also features the most sophisticated duty-free shops in the Caribbean and a wonderful selection of designer boutiques. Shopping is one of the reasons a lot of visitors come to the island to avail of the duty-free status. Front Street in Philipsburg is famous for its jewellery and diamonds offering excellent value and amazing quality matching international standards for a fraction of the price. One of such places is Riviera Jewellery, a highly recommended place to visit. The majority of the St Martin villas are located in the Terres Basses area which is on the French side of the island and very close to the border. The best way to describe Terres Basses is that it would be similar to a small neighbourhood that comprises of both residential homes and luxurious rental villas, hotels and apartments. The area has 24/7 security and guests staying in the area are all supplied with a gate pass once they have rented a villa in Terres Basses or live there so only those guests with a pass can get access. Terres Basses is home to three beautiful beaches - Baie Rouge, Plum Bay and Baie Longue,which are all ideal for snorkelling. Here you can enjoy sunbathing under the warm sun and give yourself the space to soak in this secluded and local paradise. Other areas that would be popular for renting luxurious villas on the island would be Cupecoy on the Dutch border which is a fantastic location that is close to everything and another popular area is Happy Bay located towards the north of the island that would be very close to Grand Case. They all feature the most stunning and luxurious villas to rent, with amazing views of the turquoise sea. The water in St Martin has the most gorgeous mix of blues and turquoise that we have ever seen. The views on the island really are incredible. Princess Juliana Airport is one of the most scenic and talked about airports in the world and is only metres away from Maho beach on the south of the island. Visitors love to gather on Maho beach for the best view, as you watch the planes land. It is one of the must do things to do on the island. Because the runway is so short in St Martin, to get a smooth landing, the aircraft must get as close to the beginning of the runway site thus flying right over the heads of eager tourists on the beach ready with their cameras to capture it all. It is on many people’s bucket list to do this while in St Martin. The friendly beach bar owners even encourage it and put up boards with timetables of the arrivals and departures, so tourists can plan their visit during their Saint Martin vacation. St Martin is also known for its great nightlife offering trendy beach bars, clubs and dance venues which visitors love to visit after a long day of chilling and relaxing on the beach. The Dutch side of the island, ‘Sint Maarten’, is known for its high-class Las Vegas and Monaco style casinos and having the Caribbean atmosphere gives it a more exciting vibe. The French side is known for their beautiful beaches and gourmet restaurants as well as the capital, Marigot, while the Dutch side is known for partying, shopping and its wild nightlife. St Martin really has two sides to it and guests love having the choice of exploring and living both experiences during their stay. If you are looking for luxury St Martin villas, we would be more than happy to find you the perfect property to match your requirements. 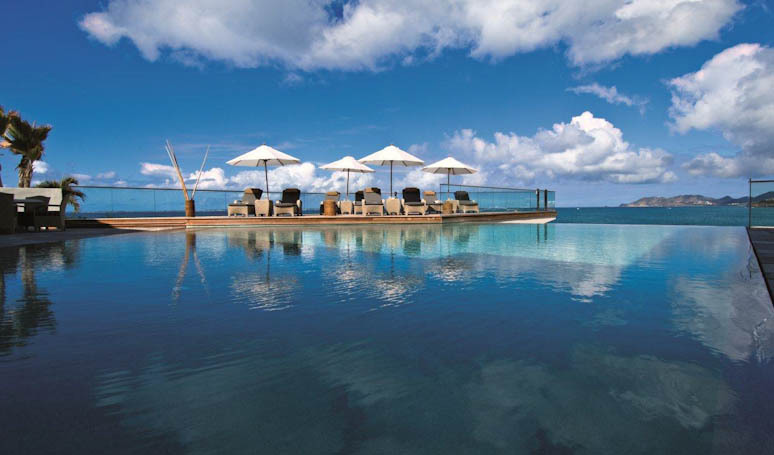 Niamh our St Martin specialist takes the time to visit St Martin several times a year to explore the island and most importantly to inspect our luxurious villas and make sure they are up to our 5-star standard. Exceptional Villas offer some of the best Beach Front villas and hillside villas on the island. When you book with Exceptional villas, we include a full concierge service. Our dedicated concierge Julie will happily arrange and address everything, so you don’t have to give it a second thought. The services include, VIP meet and greet at the airport, car hire, helicopter transfers, restaurant reservations, and advise on all the best things to do in St Martin. While you stay on the island you will also have 24/7 dedicated concierge. We pride ourselves in providing A+ service from the moment you book your vacation until the moment your return home. We strive to create memorable vacations for all our guests. 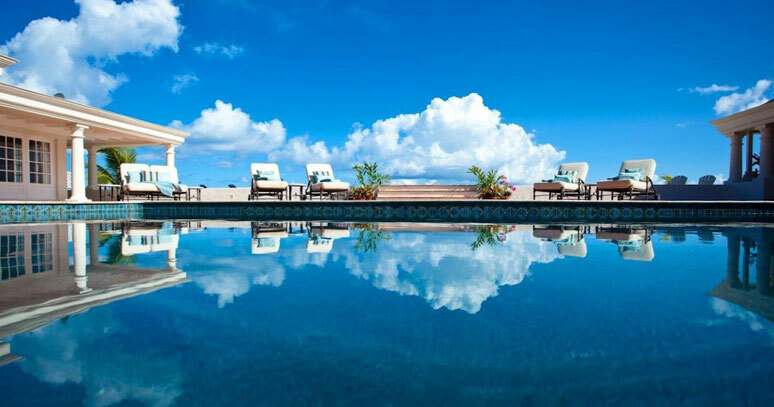 Take a moment to search our website to get more information and the most exclusive dates and availability on our luxury villas in St Martin or speak to Niamh our St Martin Villas specialist who would be delighted to guide you when choosing your perfect vacation rental.